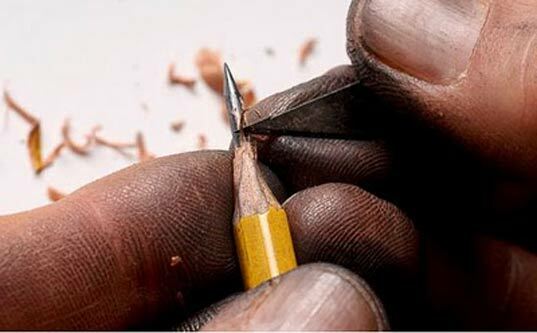 Here at Inhabitat we are often impressed by innovative new applications for everyday materials, but artist Dalton Ghetti's tiny sculptures carved out of the fragile tips of pencils have truly knocked our socks off! 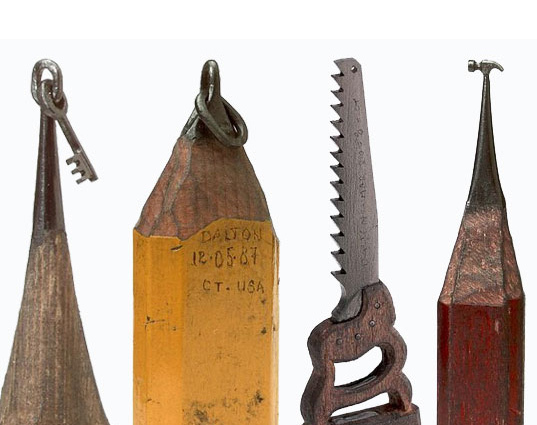 From a miniature bust of Elvis Presley wearing shades to tiny hammers and old boots, his work is mind boggling. Check it out in our gallery below, and get ready to be amazed by this unbelievable artwork! Ghetti, who is originally from Brazil, uses his little lead canvases to explore all types of subjects. 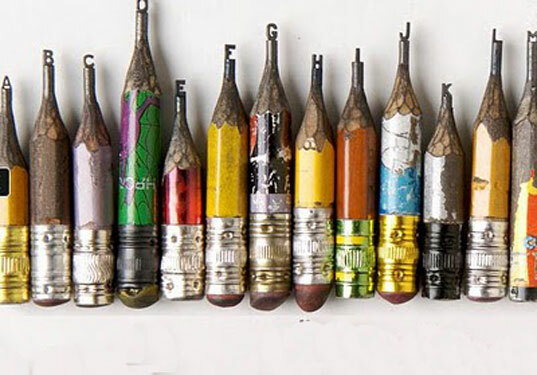 The image above depicts a part of his 26 pencil letter series – one pencil tip for each letter of the alphabet.